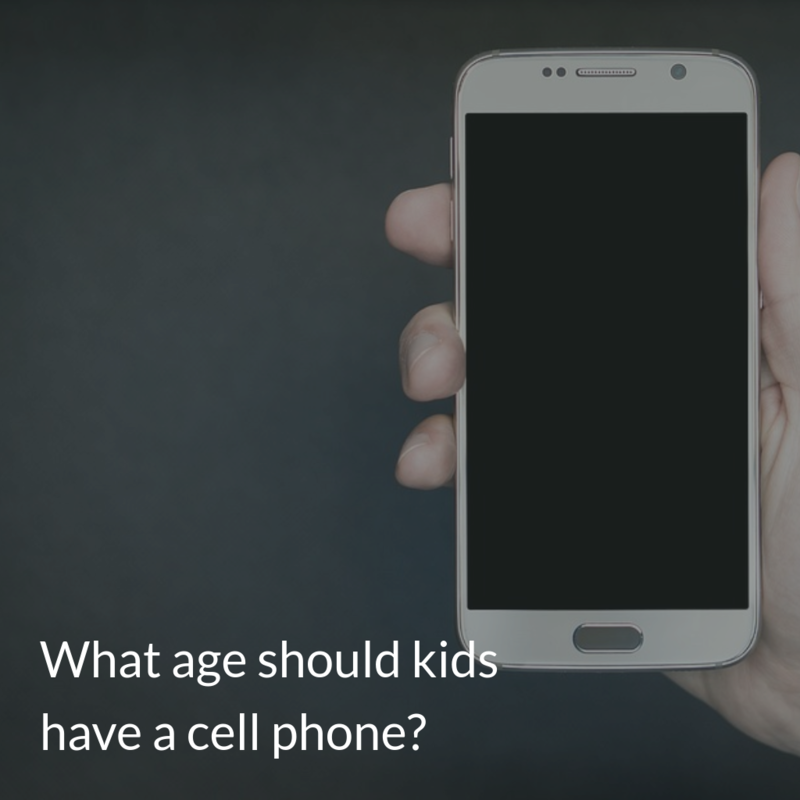 Here’s a question: What age does your child need a cell phone? Here’s another question: What age does your child need the entire internet in their pocket? Another question: Who decides what belongings your child owns – you, or them? Another question: Who will pay the phone bill – you, or them? Another question: Who will decide who your child talks to / chats with on the phone – you, or them? Another question: Will you have veto over anything your child does with his / her phone – including who they talk to, what they view, and when / where / for how long they use it? Yet another question: If you have veto / control over the phone, will you agree to the conditions with your child before you give your child a phone? A final question: Will taking the phone away be a possibility should your child not fulfill their end of their agreement with you? If your child is travelling with a group of other kids or adults at all times, they don’t need a cell phone. But they might want one. If your child simply needs to ring home occasionally, they don’t need an internet-capable (“smart”) phone. An old button phone will do. But they might want one. If your child doesn’t travel significant distances by themselves on a regular basis, they don’t need a cell phone. But they might want one. Just because your child’s friends have them doesn’t mean they need a cell phone. But they might want one. Communal areas of the home only. Phones are only to be used in the communal areas of the home i.e. kitchen, dining room, living room. Not allowed in bathrooms, toilets (trust me on this one!) and bedrooms. Alarm clocks. If your child claims they need their phone to wake up in the morning, buy them a cheap alarm clock instead. No phones while studying. Phones are not allowed near the child during homework time. Our kids hand their phones into the communal charging station in the living room while studying. Phone “downtimes”. Our kids have a phone / tech devices “curfew” of 8 pm. We don’t allow phone or tech device access at all before school. Child pays phone bills. You may opt for your child to pay their phone bills from their allowance. This gives them a very real sense of the cost of managing a phone, and teaches them another small responsibility of growing up.